Do I Need A Petrol Lawn Mower? - Which? Is your electric mower struggling to cut your lawn? Find out if a petrol lawn mower would be right for you. Know what you want already? 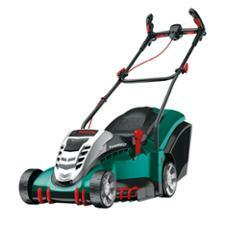 Find a great petrol mower for you in our Best Buy lawn mowers. 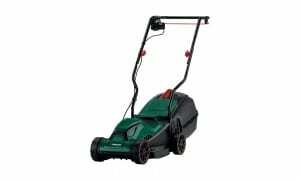 A petrol mower will no doubt cost you more than an electric one - our cheapest Best Buy petrol mower is just under £350. So to help you make the right choice, here are our answers to five common questions about petrol lawn mowers. Will a petrol lawn mower be too large for me to manage? It's true that petrol mowers are heavier and less easy to manoeuvre than electric mowers, but this is balanced by the better finish they give and their ability to make light work of larger lawns. The average weight of the petrol lawn mowers that we've tested is 31.6kg, and the average weight of the corded electric lawn mowers we've tested is less than half that at 12.4kg (correct at September 2018). Make sure you try out the mower in the shop before you buy. If it's too heavy, you may prefer a much lighter battery-powered mower (average weight 17.2kg), or a self-propelled petrol mower that will reduce the amount of pushing you have to do. If you have a complicated garden with lots of flower beds and obstacles, choose a mower with an offset deck (body) and inset front wheels. It will let you cut grass close to any obstacle and cut down on the amount of grass trimming you have to do after you've finished mowing. Will a petrol lawn mower be too expensive? A petrol mower should last for years, so it's worth getting one that has all the features you want - but there is no need to break the bank. Our cheapest Best Buy petrol mower is available for around £280 - around twice the price of our top-scoring Best Buy corded electric mower. But it's still cheaper than a battery-powered machine. It's also possible to purchase a good second-hand petrol mower. Pick a lawn mower from a reliable brand or seek advice at a local independent dealership. Is it complicated to maintain a petrol lawn mower? Standard maintenance for petrol lawn mowers is not complicated. As a minimum, it's worth learning how to clean the air filters and check the oil and spark plugs. If you're not comfortable doing the basics yourself, plenty of dealers will service your machine. Prices vary, but you can expect to pay around £75-£90 for a full service. Will I be able to start the petrol engine? The engine on a petrol mower is usually started with a pull cord. These can be difficult to get to grips with if you don't have strong arms. 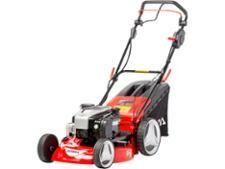 Look for a mower with an 'easy-start' system, or you can get models with electric-ignition, though these will cost more. 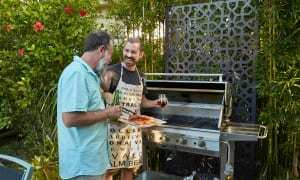 Will a petrol lawn mower be noisy and smelly? 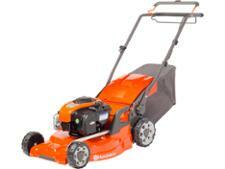 Many petrol lawn mowers have fixed speeds rather than a throttle, so this will stop noisy over-revving of the engine. Older petrol lawn mowers had two-stroke engines, but newer models are four-stroke and have a separate oil tank so you don't have to mix the oil and petrol yourself, which can be a messy, smelly job. 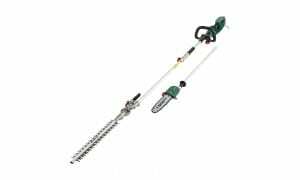 However, there is no getting around the fact that petrol lawn mowers are noisier than corded electric mowers and you do have to buy petrol in containers from the garage to fill them.